The New Zealand Defence Force can confirm that the member of the Special Operations Force who died this morning during a maritime counter-terrorism training exercise was Sergeant (SGT) Wayne Taylor. SGT Taylor joined the Royal New Zealand Infantry Regiment as a member of the Army Reserve in 1993 — joining the Regular Force in October 1997. He served in East Timor and Afghanistan. “Many of the Regiment, both RNZIR and NZSAS, will remember him as an outstanding soldier, leader, father, family man, and friend to many, as well as being an all-round top bloke. He was a consummate professional, who was known for his dedication and reliability — always upholding our core values in every endeavour,” said Major General Peter Kelly Chief of Army. SGT Taylor is survived by his wife and four children. “I know that his family, friends and workmates will be keenly feeling the loss of a husband, father and friend. My thoughts are with them all over the coming days and weeks,” said MAJGEN Peter Kelly. The soldier’s family are being supported by members of New Zealand Special Operations Force and the New Zealand Army. The NZDF requests that their privacy is respected at this difficult time. Police are investigating on behalf of the Coroner, so it would be inappropriate for NZDF to make further comment. The New Zealand Defence Force can confirm that a member of the Special Operations Force has died during a maritime counter-terrorism training exercise off the Coromandel Peninsula this morning. The next of kin have been informed, and a family liaison officer has been assigned. 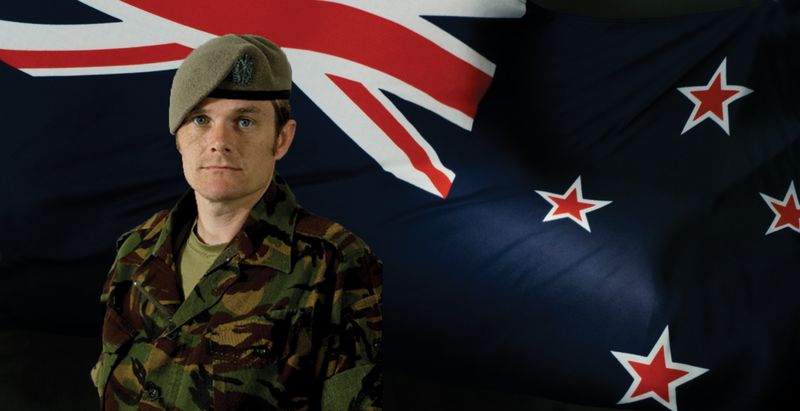 Our thoughts are with the soldier’s family and friends, and the NZDF requests that their privacy is respected at this difficult time. The New Zealand Police have been informed.